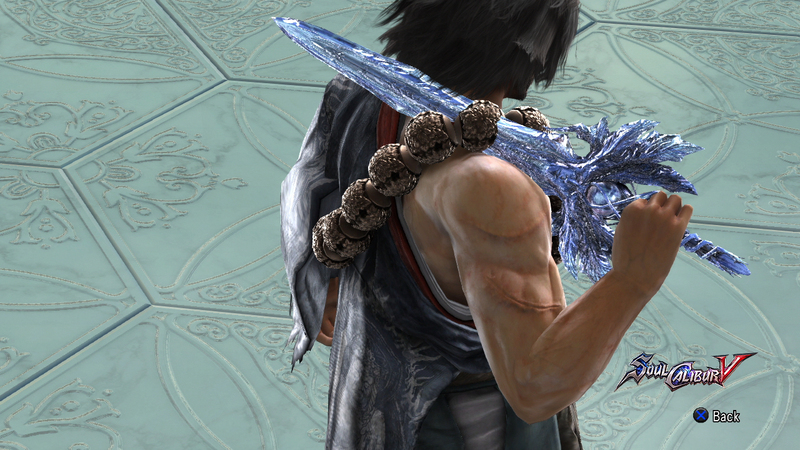 Welcome to the Soul Calibur V 9th Weapon guide! 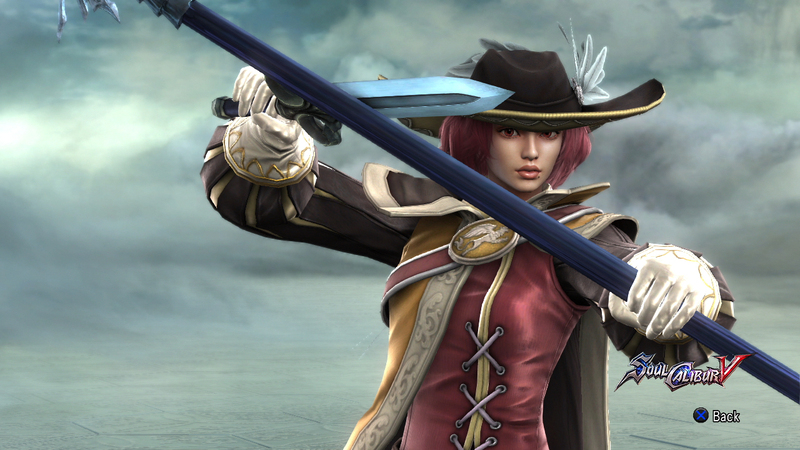 This is a gallery and description of each character's 9th Weapon. You can only assign 9th weapon to a character using save game editor. 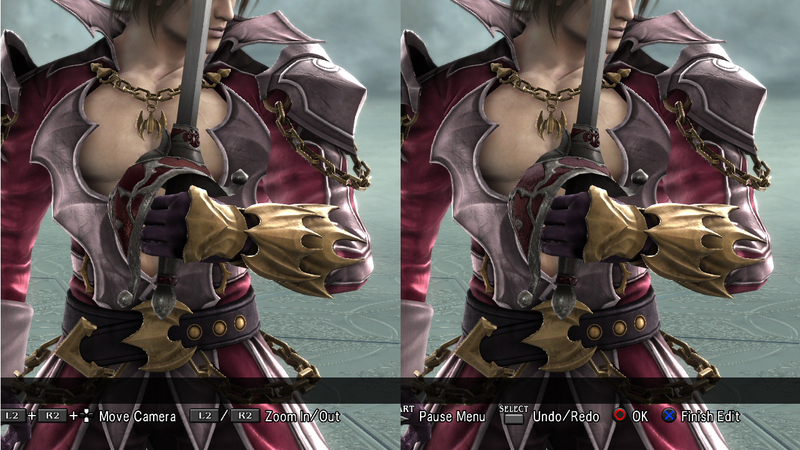 The address is listed on Soul Calibur V Modification Codes. 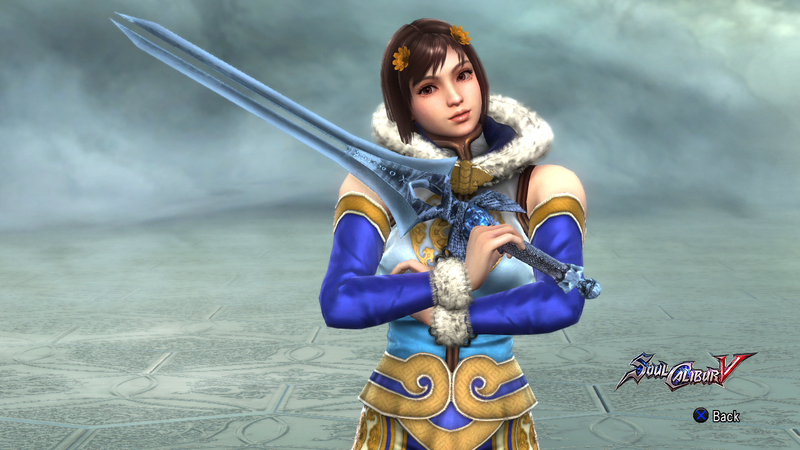 Female character's 9th weapon are all Soul Calibur. 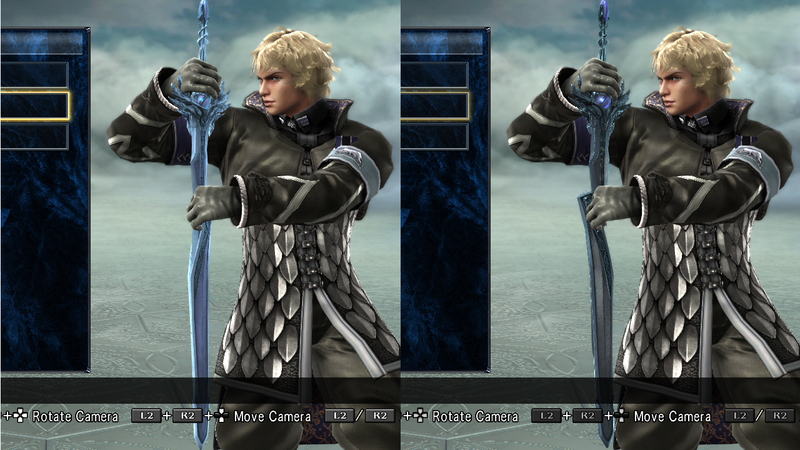 Siegfried and Nightmare both have their default SC4 weapon. 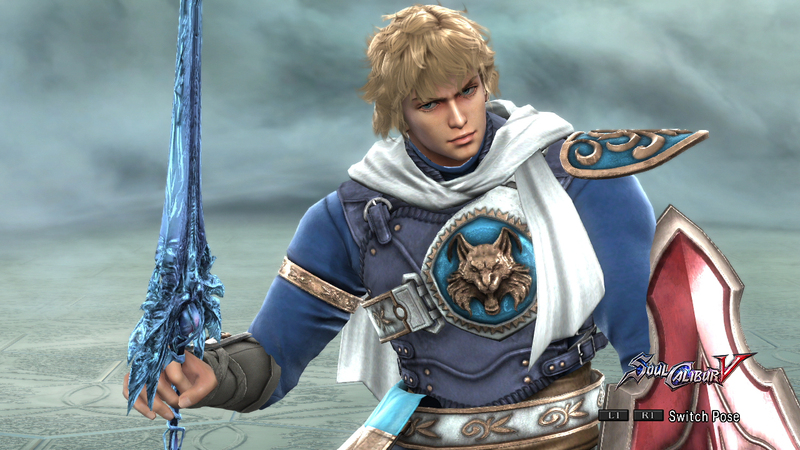 Other male characters are mostly a shinier version of their 1st weapon, most probably for cut scene prop. All of them are uncolorable, except the aura on Ein. 9th weapon is assigned to the digit "08", since 1st weapon is assigned to digit "00". 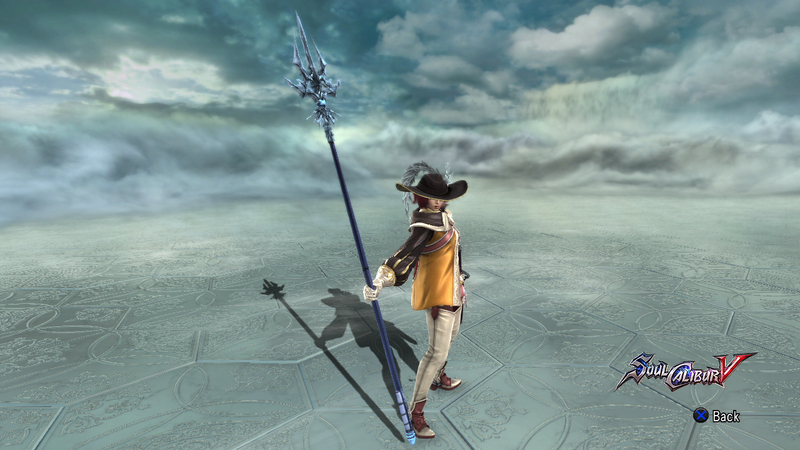 Ezio, Dampierre and (probably) Algol do not have 9th weapon. Trying to assign weapons to them will crash the game. 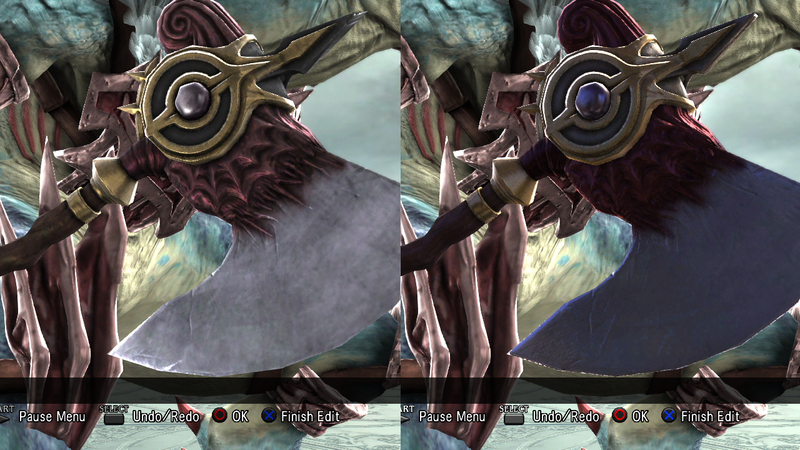 Aeon's 9th (right) is similar to his 1st weapon with different shine. 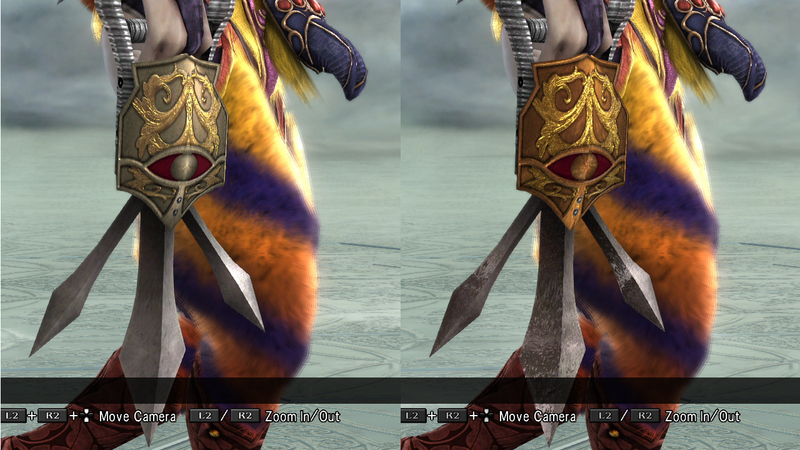 Astaroth's 9th (right) is a differently textured version of his 1st weapon. 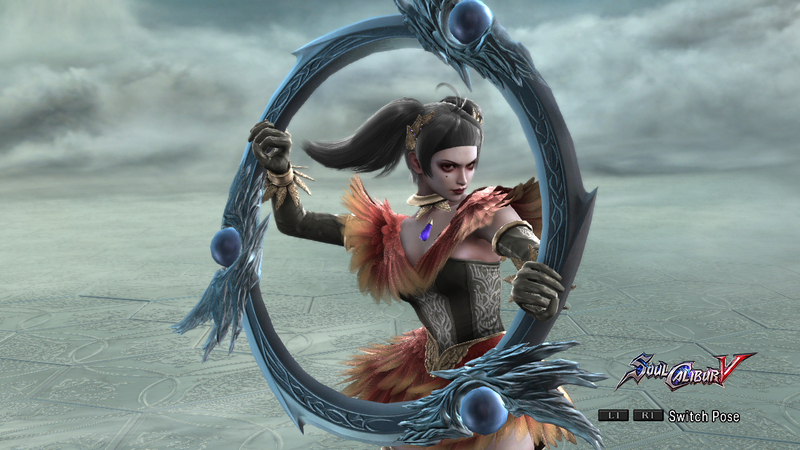 A low-res texture too. 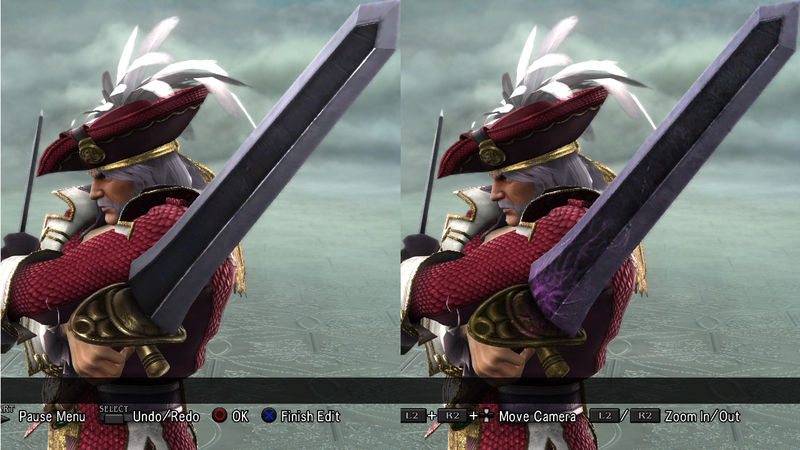 Cervantes's 9th (right) is a corrupt version of Acheron. 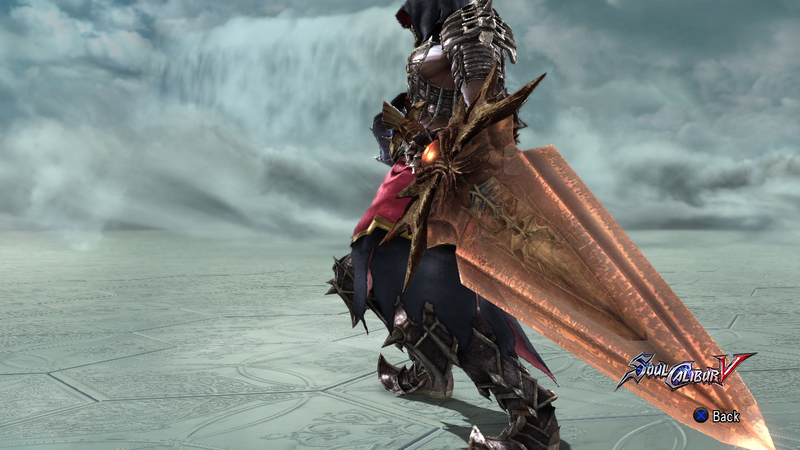 Interestingly, Cervantes's 1st weapon icon is the corrupted Acheron, but is actually a clean Acheron. 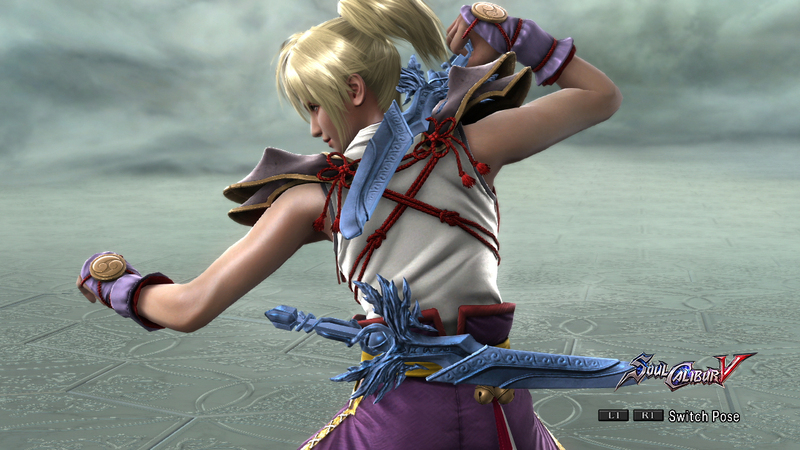 Xiba Kilik's 9th (right) is a smaller, less shiny version of his 1st. Maxi's 9th (right) is a shinier version of his 1st. 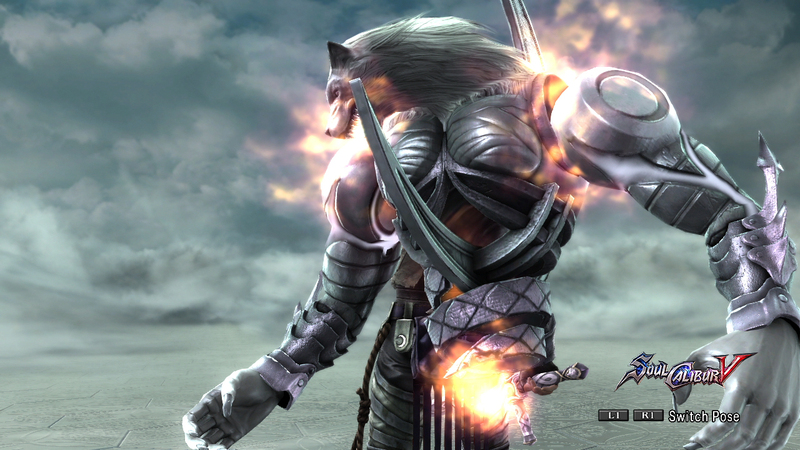 Mitsurugi's 9th is Patroklos' Soul Calibur, albeit with a different texture. 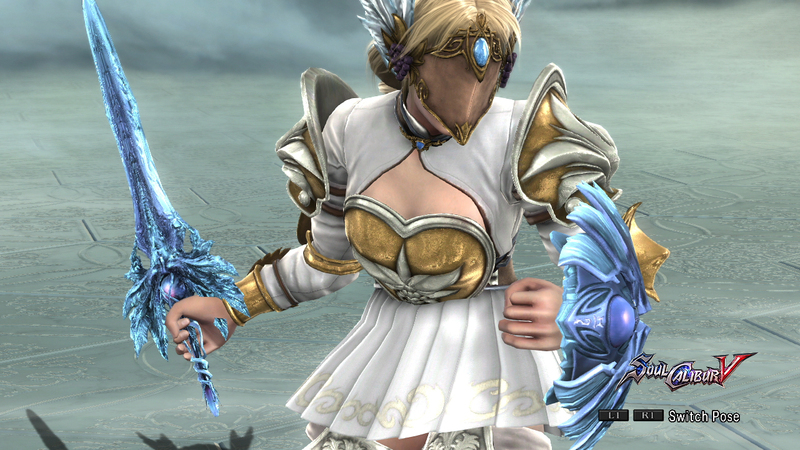 This weapon comes with no sheath. 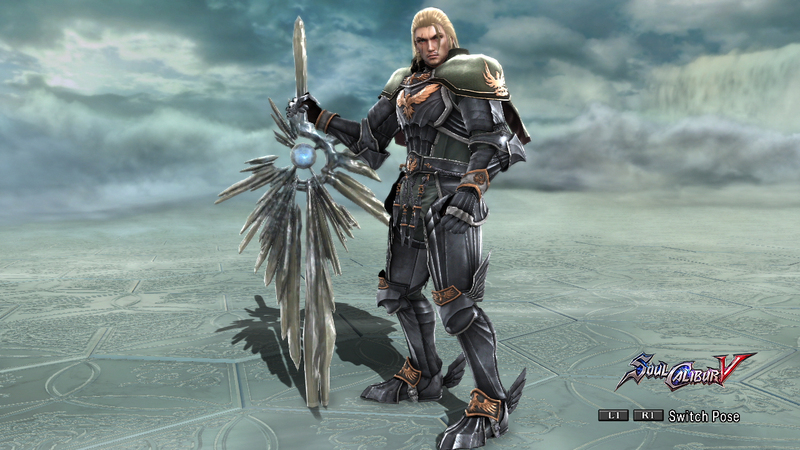 Patroklos's 9th is Soul Calibur and Arcadia Shield, which can only be used during story mode. 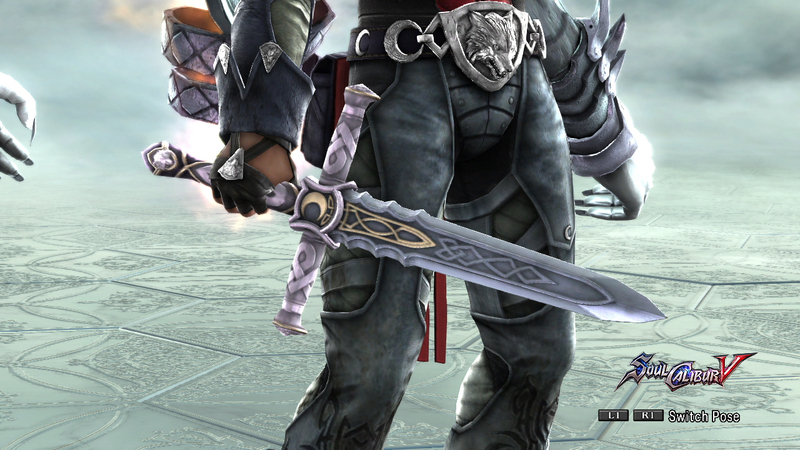 Alpha Patroklos's 9th (right) is a high-res textured version of his 1st weapon with a reversed sheath. 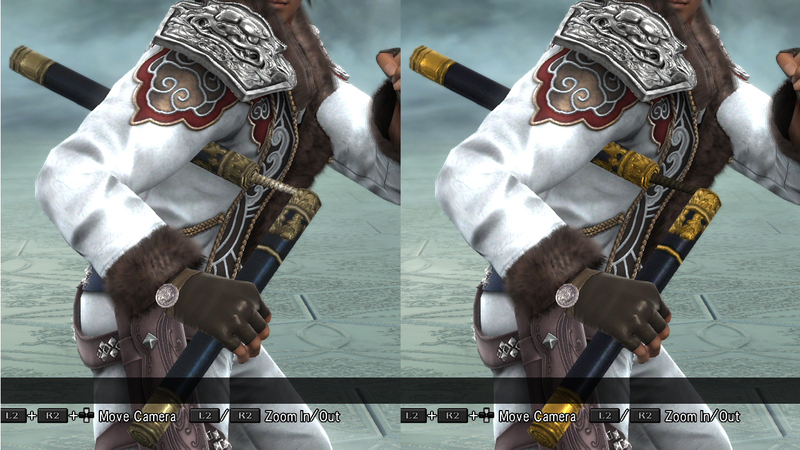 Raphael's 9th (right) is his 1st with slightly bigger hilt and slightly sharper texture. 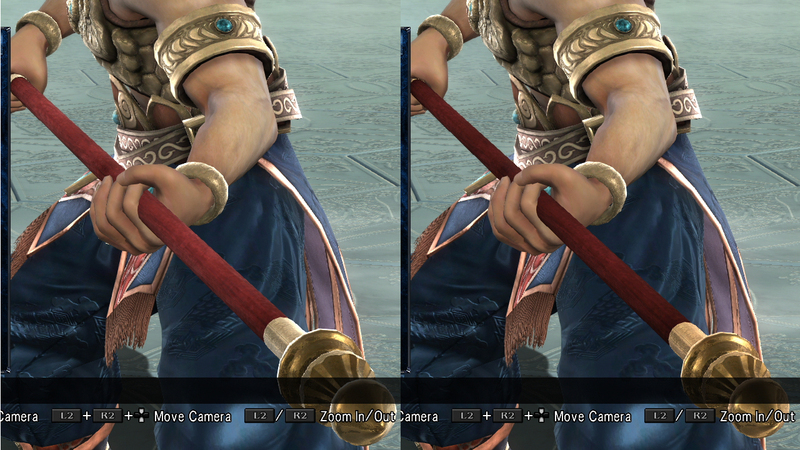 Siegfried's SC4 Soul Calibur, albeit with lower resolution texture, that looks like crap up-close. 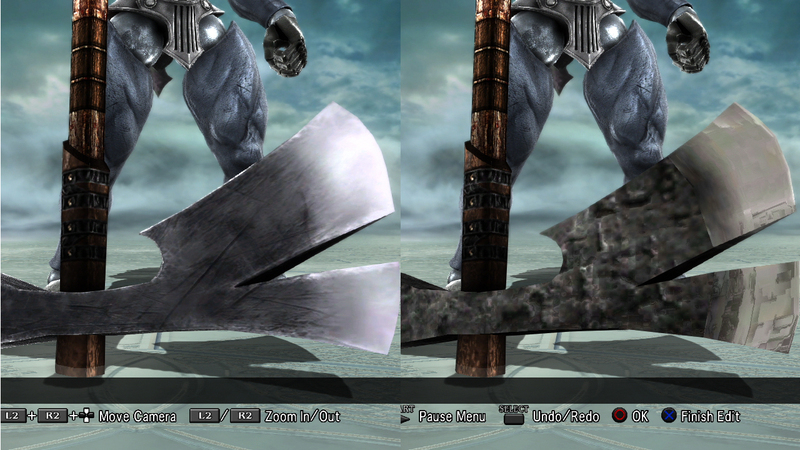 Voldo's 9th (right) is a shinier version of his 1st, with different blade texture. 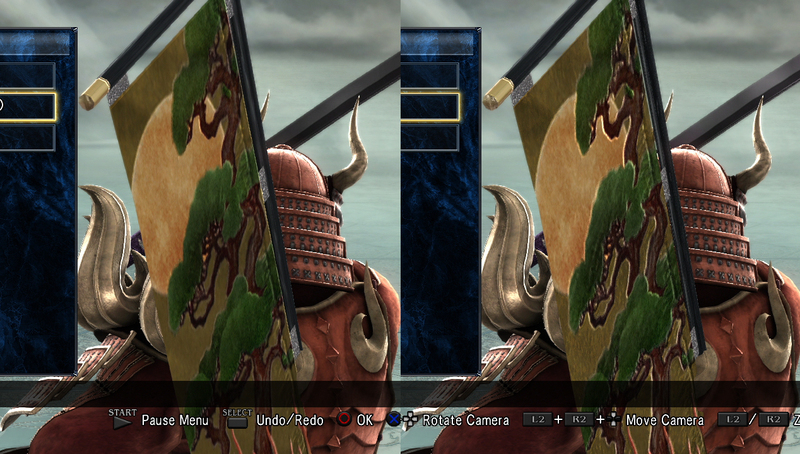 Yoshimitsu's 9th (right) is his 1st weapon with an embossed flag. 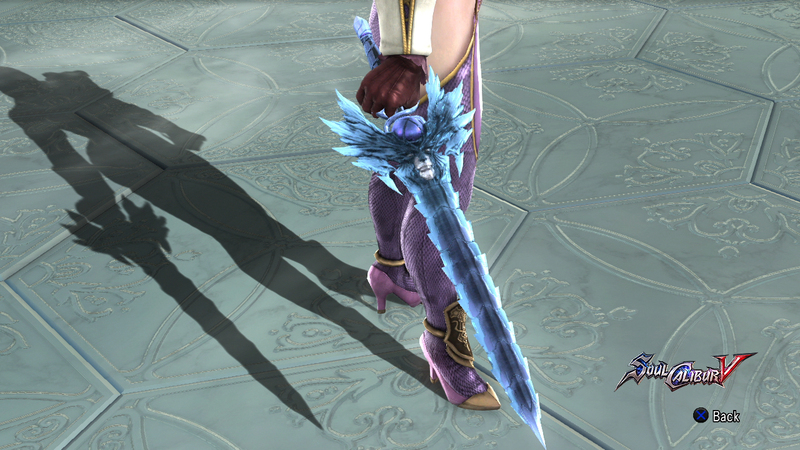 Zwei's 9th sword, light blue blade, light purple hilt. Zwei's 9th Ein, light purple, light blue, with orange aura.